For the days when you can't be out in the mountains, this pack makes an ideal work bag. It features twin compartments, sleeves for your laptop and tablet, plus a harness pocket for quick access to travel card and keys. 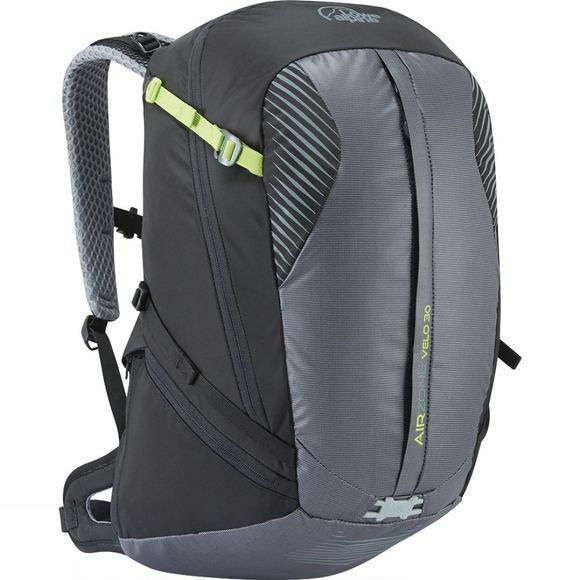 The Airzone Velo 30L Rucksack is a traditional daypack optimised for the cycle commuter, featuring multi–fit LED light attachments, a helmet attachment and reflective graphics for nighttime cycling. You can even find a bike tool organiser in the front pocket for when things just don't quite go to plan. Lowe Alpine have also included a durable, wipe clean TriShield Dura & 420 PW / HydroShield outer coating meaning you can quickly clean off the travel dust and dirt, ensuring you always have a fresh looking pack on a Monday morning.